The United States women’s national team dominated Belgium on Sunday at Banc of California Stadium in Los Angeles, winning 6-0. 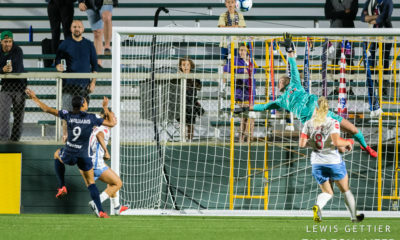 Carli Lloyd scored twice in her first start of the year, and Sam Mewis, Jessica McDonald, Alex Morgan and Lindsey Horan each scored in the victory. If you had been living under a rock and thought the United States was still the defensively dominant team of 2015, which played 540 minutes of shutout soccer en route to the World Cup title that year, then Thursday was your true welcome to 2019. The Americans defeated Australia, 5-3, in a wild match which featured very little defending and lacked organization across the park. 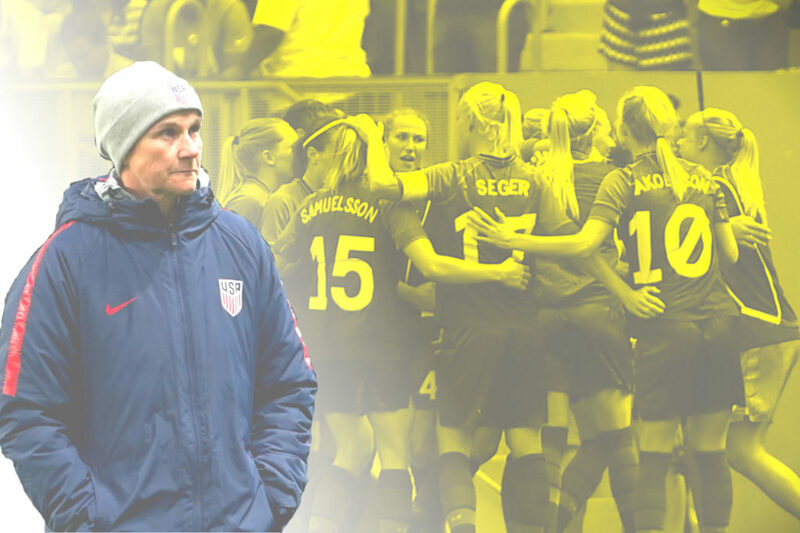 On Sunday, Ellis threw another twist into the equation, starting Tierna Davidson at left back (with Julie Ertz at center back) and playing Ali Krieger 90 minutes at right back in her first international appearance since April 6, 2017. Davidson showed promise early, proving accurate with her crosses and willing to take players on out on the flank. 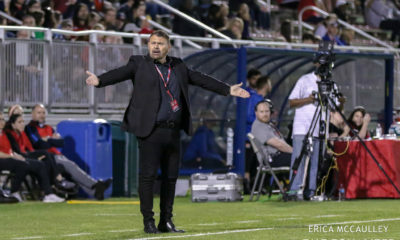 Ellis loves that she has a left-footed option in Davidson, a trait which has ostensibly been an advantage for the 19-year-old in her pursuit of that starting center-back role. Could that actually lead to Ellis making a switch to Davidson at left fullback? Sunday showed that Davidson has something to offer there. She was dispossessed a few times, but Ellis will be encouraged by both what she saw from Davidson there and from Crystal Dunn in midfield. At the very least, there are options. As for Krieger on the right: she wasn’t significantly tested, which is why it is so puzzling that Ellis wouldn’t have wanted to see the veteran of now 99 caps in action against a stronger Australia team. Perhaps, though, this game replicates the type of one Ellis would want Krieger for in France. Part of managing Kelley O’Hara’s health at the World Cup could mean giving her time off in that second group match against Chile, who may sit in more, as Belgium had to on Sunday. Who would slide in there remains the question — and we’ll soon know if Ellis thinks Krieger remains an option. Carli Lloyd played the full 90 on Sunday, which is nearly triple the amount of time she played in the first six U.S. matches of the year. Lloyd has said that she feels as fit as ever and in good form, and felt that she had earned more time. 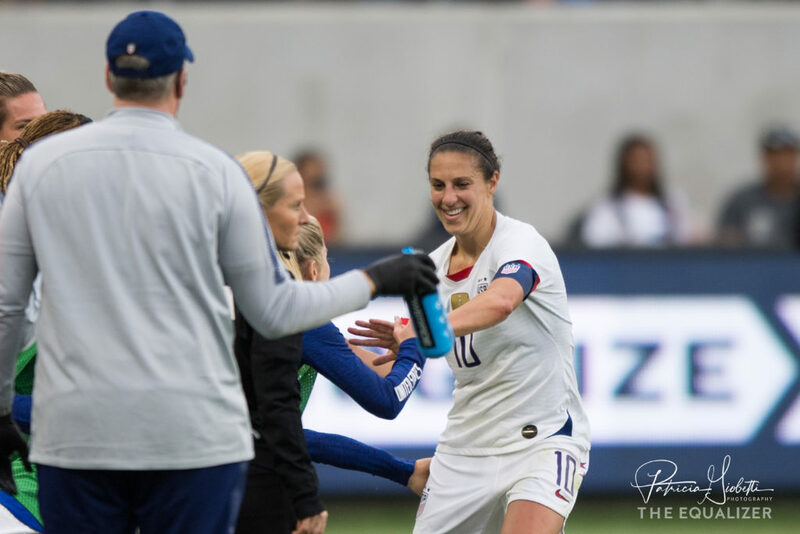 She got that on Sunday, and her two goals — and gorgeous assist on Alex Morgan’s goal — serve as some confirmation that she does, indeed, have more to give. Lloyd played in both the No. 9 and No. 10 roles on Sunday. It became clear throughout the course of 2018 — as Morgan continued to dominate for the U.S. — that Lloyd’s most likely role in France this summer would be as the second option at No. 9. 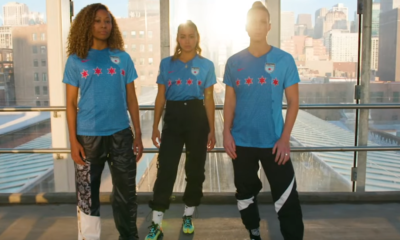 More recently, even that was being questioned as Christen Press looked phenomenal to open the calendar year. Sunday’s game is unlikely to have drastically changed too much in Ellis’ plans, but it’s the best and most complete performance from Lloyd in a U.S. shirt in some time. That will serve as a firm reminder to Ellis that she has options. And it was an important outing for Lloyd — certainly not for confidence, but for proof of concept that her efforts in training are paying off in competition. Five of the U.S.’ six goals against Belgium were headed into the net. Five of those goals came directly from set pieces. Three of those goals were assisted by Press. Belgium, which is a respectable, up-and-coming program, wasn’t up to the task on Sunday — especially defensively. But the pure volume of goals scored in the air and off of set pieces would make any coach happy. Those are training-ground exercises paying off. Set pieces change games; that will continue to hold true in France. Sunday was about as efficient as anyone could ask for in that department. 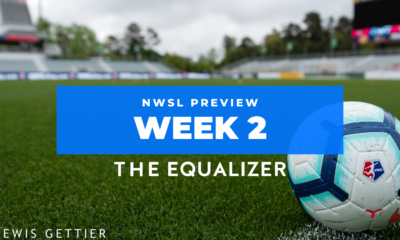 North Carolina Courage 2019 season preview: Can the champs actually get better?